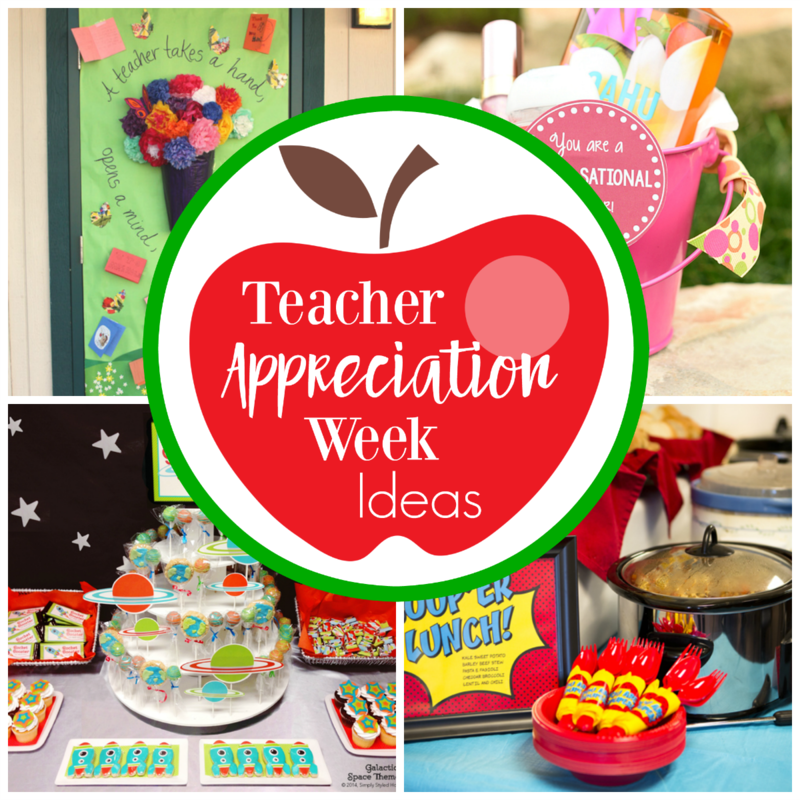 A Peek at the Fun: Are you looking for a fun and simple way to thank your teacher for all of their hard work? 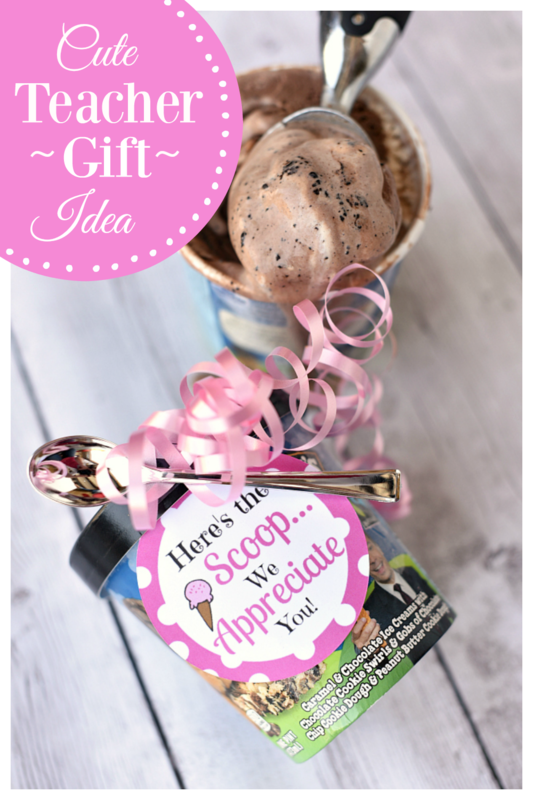 If so, we have this fun ice cream themed teacher gift that is a perfectly delicious idea. We LOVE our teachers! Seriously, we have thee best teachers, so we try really hard to find special ways to thank them for all of their hard work. 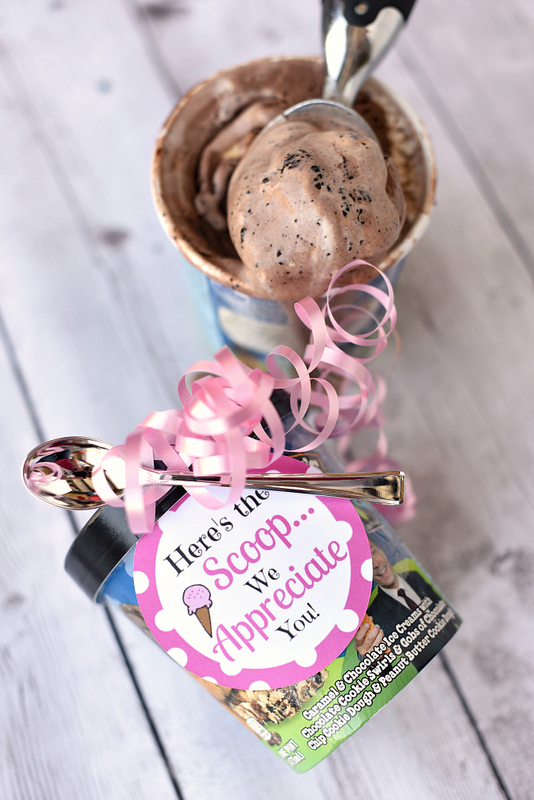 A thank you doesn’t need to be complicated or costly, and to that end, we have this fun ice cream themed teacher gift that is a perfect way to say thank you! Do you have a teacher you’d like to thank? 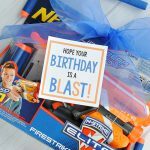 Let’s dive in to this fun gift idea! 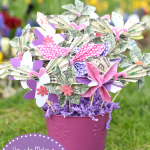 How fun is this teacher gift idea? And it really couldn’t be simpler to put together. 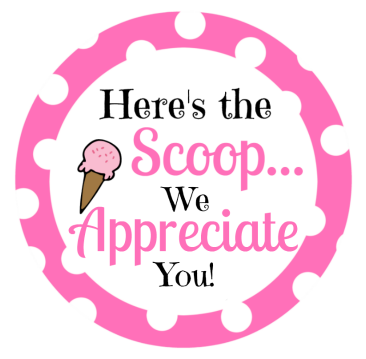 If you have a teacher who loves ice cream…(and let’s face it, who doesn’t?) 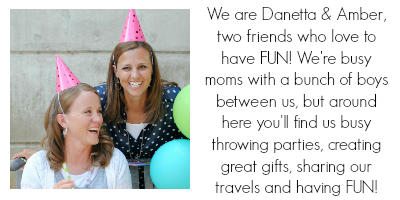 this is the perfect way to thank them for all their hard work! 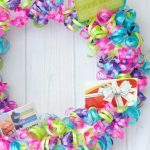 It’s as simple as choosing a delicious flavor of ice cream, printing the tag, and wrapping it all up with a cute ribbon and spoon. 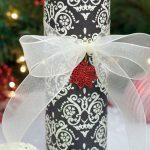 It’s a perfect teacher appreciation gift idea! And can we just take a second to mention that The Tonight Dough flavor is AMAZING! The fact that it has peanut butter cookie dough in it? Forget about it! Okay, we may have gotten off topic…back to this gift idea! We’ve got the tags ready for you to use! Just right click and save to your computer, then open in a program like Word or Pages and size how you want. Or, we have a PDF with several of them ready for you to print. 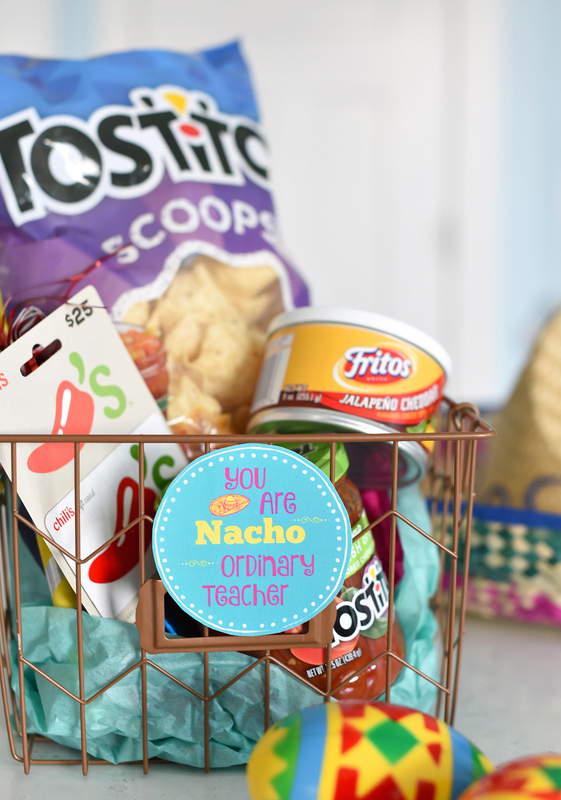 Have FUN giving this yummy teacher gift!